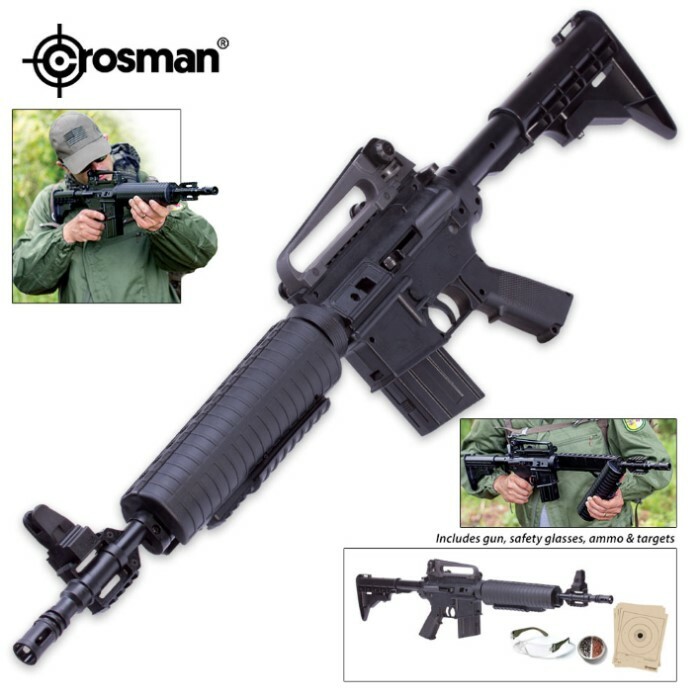 Crosman M4-177 BB/Pellet Air Gun Kit | BUDK.com - Knives & Swords At The Lowest Prices! 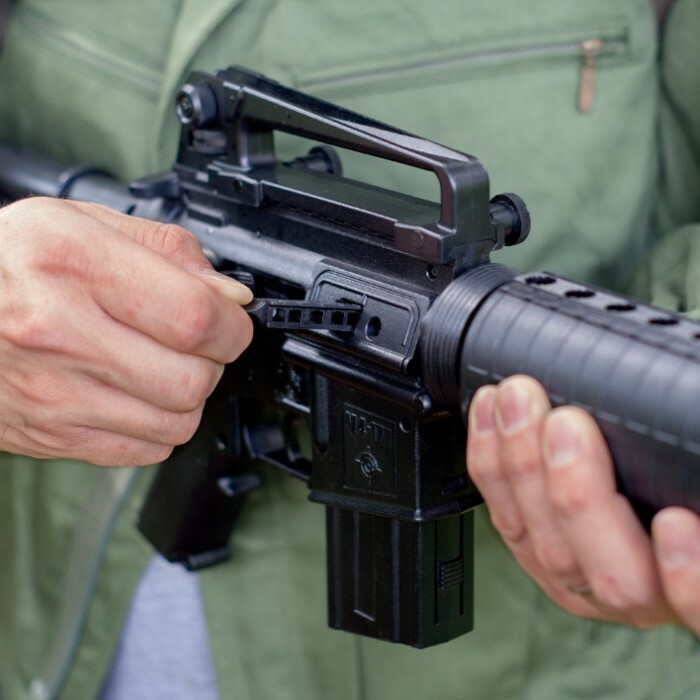 Weight: 3 1/2 lbs; Length: 34"
You'll be ready for anything with this M4-177 gun kit! It shoots up to an incredible 660 fps. The kit includes premium copperhead BBs, pellets, shooting safety glasses and five paper targets. Features dual aperture windage and elevation carry handle. Solid shooter. Crossman premium hollow points run best for me, my gun likes them a little heavy and long. I shoot at the standard 30m and with 5 pumps maintain 1.5 inch groups with iron sights, plastic sights lol. Really is a class act not a toy. 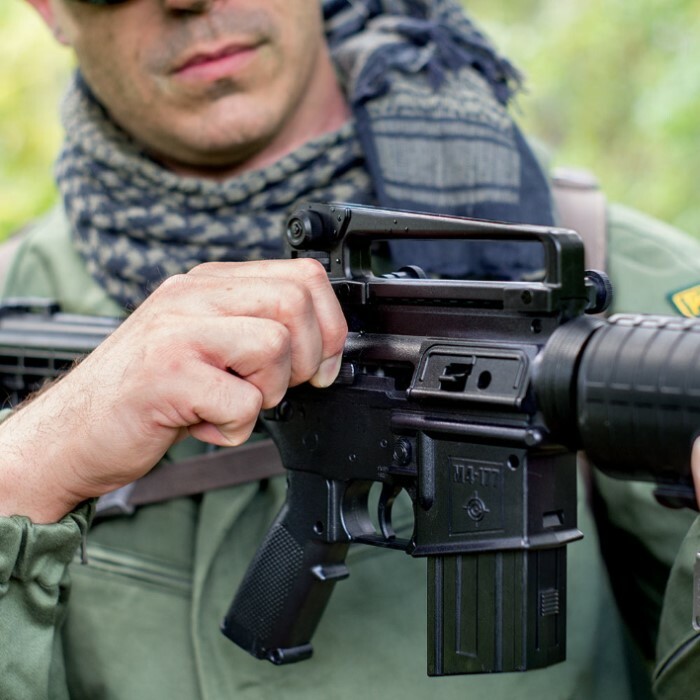 I want the Bushmaster also though the action is similar. I don't mess with bb's 80% of the time only shoot pellets for accuracy. What a great Airgun ! Love the power ! Look's & feel's like a five star real M-4 !